Our 'Black Women In Music' honoree is truly a hair chameleon. Hair coloring usually goes something like this: you mix together a few boxes of dye, apply it to your strands from root to tip, sit under a dryer and rinse. And because this is the most familiar process, Erykah Badu’s latest Instagram adventure may seem a tad eccentric—but then again, that’s what makes it so cool. Last night (January 18), the 2017 ESSENCE ‘Black Women In Music’ honoree added paint to her vibrant locks in just a few easy steps. Seriously, this is a DIY method that any hair novice could pull off. And while there’s no word on what inspired Badu’s latest hairdo, we’re completely enamored with the finished look. 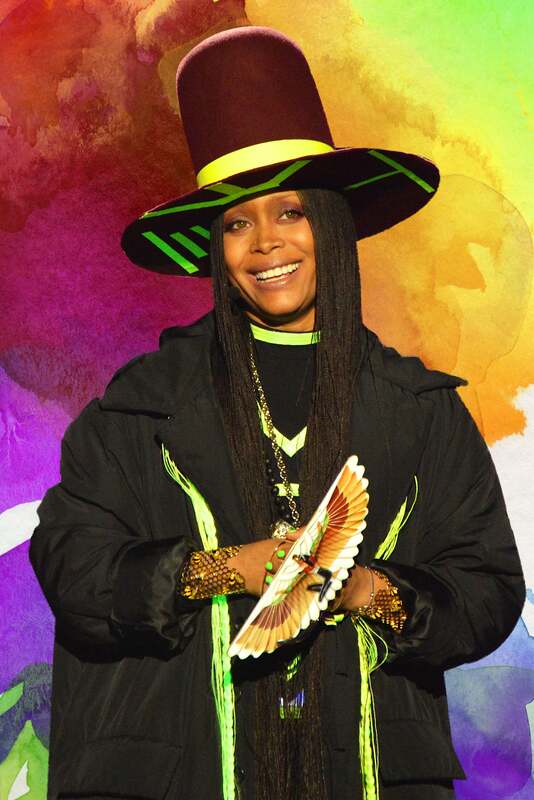 First, Badu created a palette of primary colors and two pastel shades. Next, she gathered the hair over her shoulder, and began to apply the paint with a brush. We’re definitely bookmarking this one for festival season. Move over mermaid and unicorn hair; this may be the next big color trend.